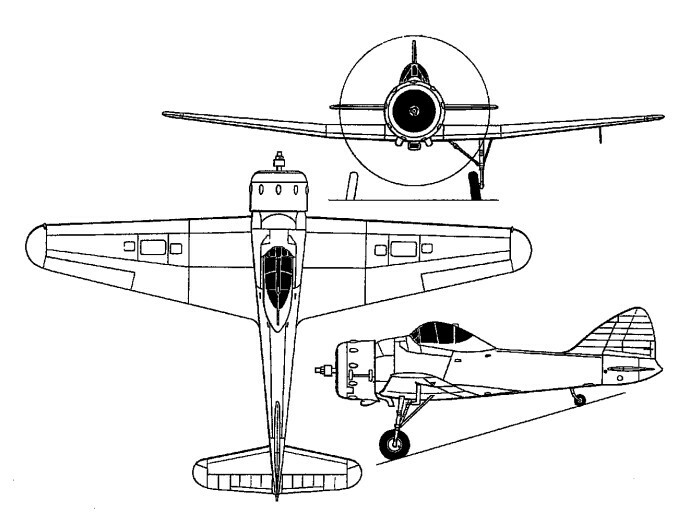 Embodying the lessons learned from the Type 133, the Type 146 was a single-seat eight-gun all-metal fighter of monocoque construction with stressed duralumin skinning. Intended to meet the requirements of Specification F.5/34, the Type 146 was designed for a fullysupercharged Bristol Perseus radial of 835hp, but the sole prototype completed was fitted with an 840hp Mercury IX owing to the non-availability of the intended power plant. Armament comprised four 7.7mm Browning machine guns in each wing. Delayed in completion through its low development priority, the Type 146 was finally flown on 11 February 1938, but was already out-dated by the Merlin-engined Hurricane and Spitfire. After trials at Martlesham Heath, it was returned to the manufacturer to participate in a local RAF display, where it collided with a display set-piece while landing and was scrapped forthwith.